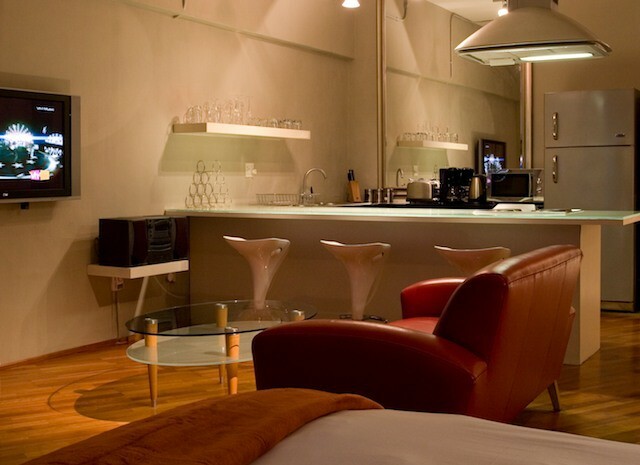 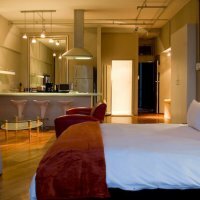 Manhattan Luxury Studio with Indoor Jacuzzi , located in Cape Town city on Bree Street with the best restaurants in the Cape Town central area . 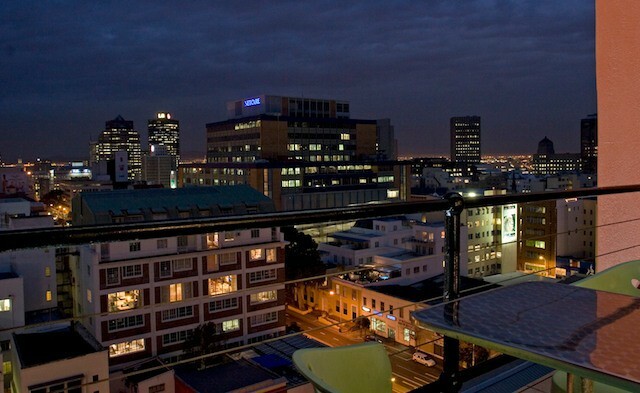 Step out to Cape Towns most happening street . 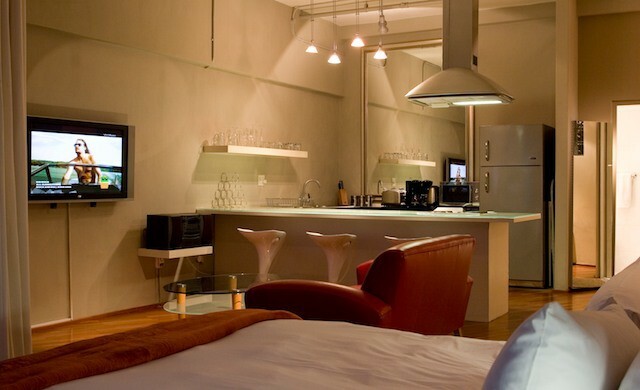 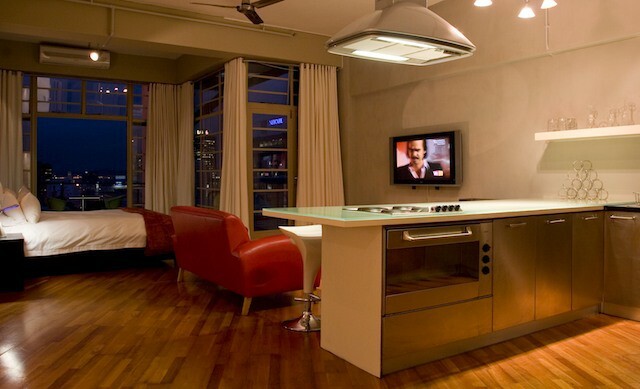 Magnificent 70 square meter studio with high ceilings and balcony , Private self catering apartment situated on a top of a hotel with the added benefits of some of the hotel facilities only more private and exclusive !The Studio offers spectacular views of the entire city of Cape Town . 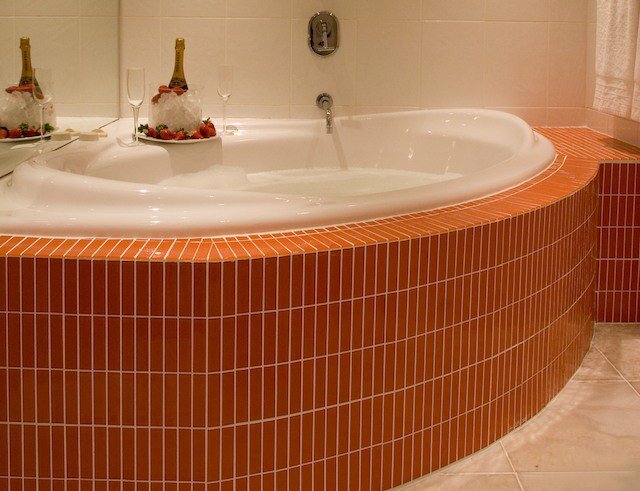 State of the art Furnishings.Gorgeous orange glass mosaic jacuzzi .Air- conditioning , under floor heating , Flat screen DSTV , WIFI internet connection , CD Player Imported Italian kitchen with stainless steel appliances , black granite and glass tops .Open air Swimming pool with sun lounges , umbrellas and pool bar.Security and Location is excellent !! 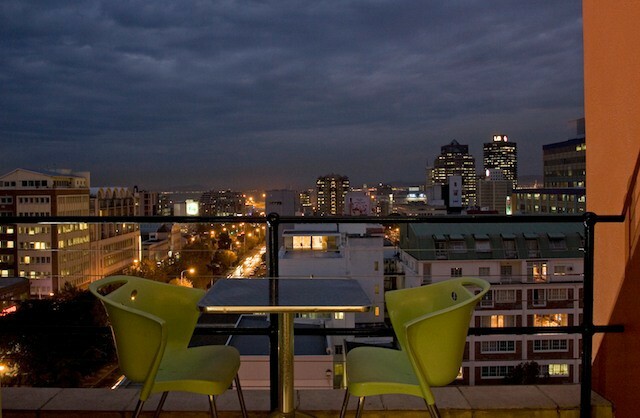 Step out to best restaurants , shops and V/A Waterfront .